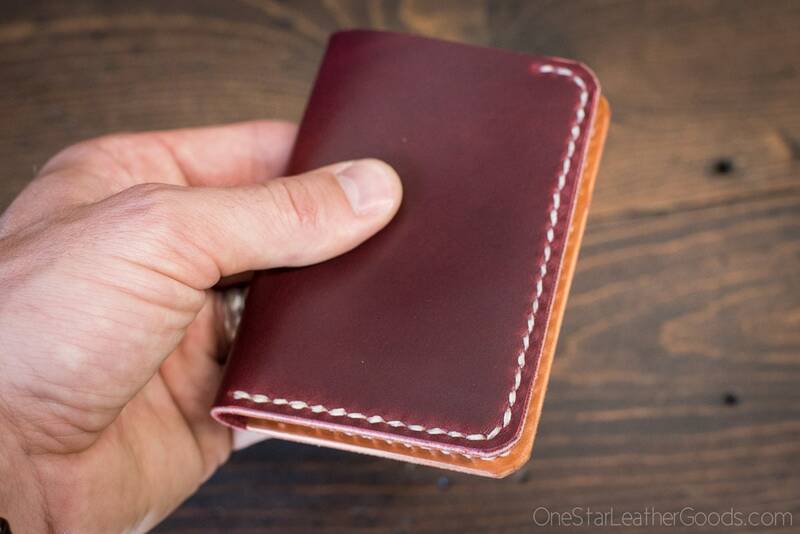 A tiny notebook wallet for cards, cash and the CD5 notebook from Apica. 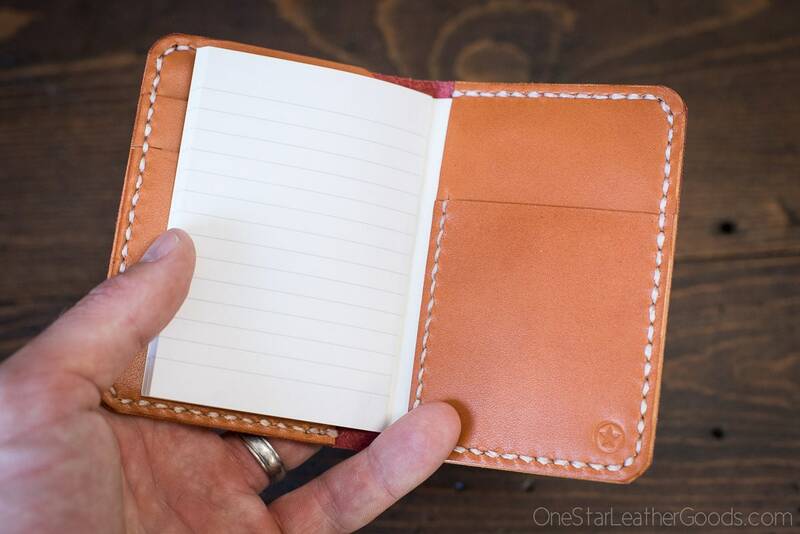 Two vertical card slots on the left and a micro notebook on the right. 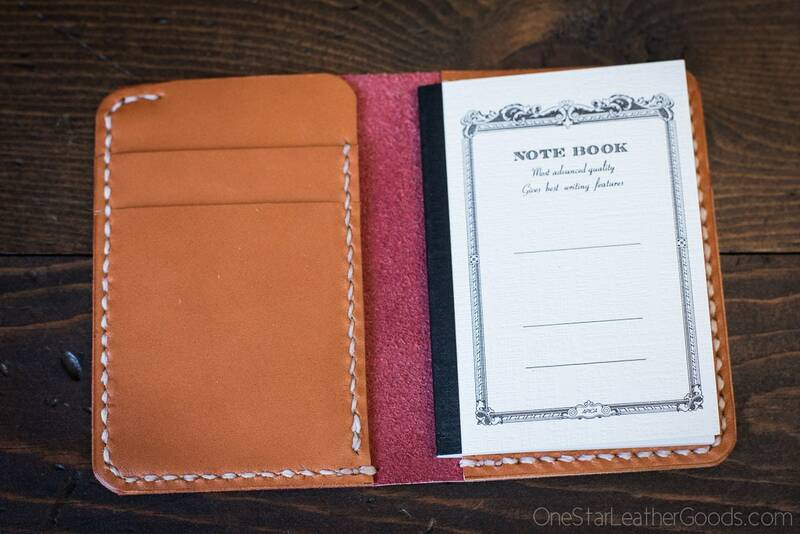 Behind the notebook is a single card pocket. Includes a 2.8"x4" CD5 notebook from Apica. 11cm x 8cm closed, 16cm x 11cm open.